The term zero waste can be overwhelming and unrealistic. It’s best to view it as a journey rather than a destination and it isn’t the answer to everything. The first step to leading a more sustainable life is to make small changes. This is a guest post written by Gina Caro from the blog Gypsy Soul: A Sustainable & Simple Living Blog. Gina writes about zero waste, green living, natural beauty & minimalism. She can also be found on Facebook – https://www.facebook.com/gypsysoulblog, Pinterest – https://www.pinterest.co.uk/gina_caro/boards and Twitter – https://twitter.com/Gina_Caro. I have added relevant affiliate links in places which are marked with an *. It won’t cost you any extra to purchase something through an affiliate link, but will help to support the blog! There are hundreds of different types of reusable coffee cups out there and as an added bonus a lot of cafes now offer you a small discount if you bring your own. If you are looking for an eco cup then I’d recommend eCoffee Cup*. They are made from natural bamboo fibre. Switching from plastic disposable razors to a safety razor* is one of the easiest switches I’ve made so far. The safety razors aren’t cheap. A decent one will set you back at least £25 but you will have it for life. It can be a little daunting when you first use your safety razor but there are lots of tutorials online to help you. It’s all about the angle and the pressure you apply. I made the switch to a safety razor 3 months ago and I’m really happy with it. Using cloth napkins instead of disposable ones is another easy switch to make. A good tip for saving on washing is to give each family member their own napkin. You can either write their name on the label if they have one. Or, if you are handy with a needle and thread, sew on their initials in one corner. By doing this you can reuse the napkins more often between washing. Now that the plastic bag charge has come into effect in the UK it’s more important than ever to take your own bags. It’s good to have a selection of different kinds. We use the big trolley bags for a big shop. I also have a selection of jute bags* with strong handles and a fold up canvas bag that I keep in my handbag all the time. One of the main problems with taking your own bags is to remember to take them! Try and create a system that works for you. After you unpack your shopping why not put the bags straight back into your boot. That way they are already there for next time. Switching to a bamboo toothbrush is something that I have done recently and I love it! They do cost more than the plastic ones but I have found that they last a lot longer. Once you have finished with your brush you can throw it into the compost, if you have one. You just have to remember to remove the bristles first. They aren’t compostable. I’d recommend Hydro Phil*. They are excellent quality and if you look after them they last a long time. A good quality metal water bottle * makes an excellent alternative to the plastic disposable bottles. Plus, you will save money but not buying a drink when you are out. Beeswax wraps are a great alternative to cling film. You can buy ready made ones or you can make your own. They are reusable and work from the heat of your hands. I recently made a batch with my friend. It was much easier to do than I expected. Fed up with the plastic bottles in your shower? If so why not consider switching to a shampoo bar*. They are lots of different types out there. You foam the bar up in your hands with water and then rub it in your hair. Plastic straws have been in the media a lot recently. That video of the turtle still makes me cringe. You can now buy metal straws* instead. After use just wash them and reuse. Whenever I think of hankies I immediately think of my Grandmother. They were the ‘reuse it’ generation. We can learn a lot from them! Rather than buying packs of tissues why not buy some nice reusable ones*? So what about you? 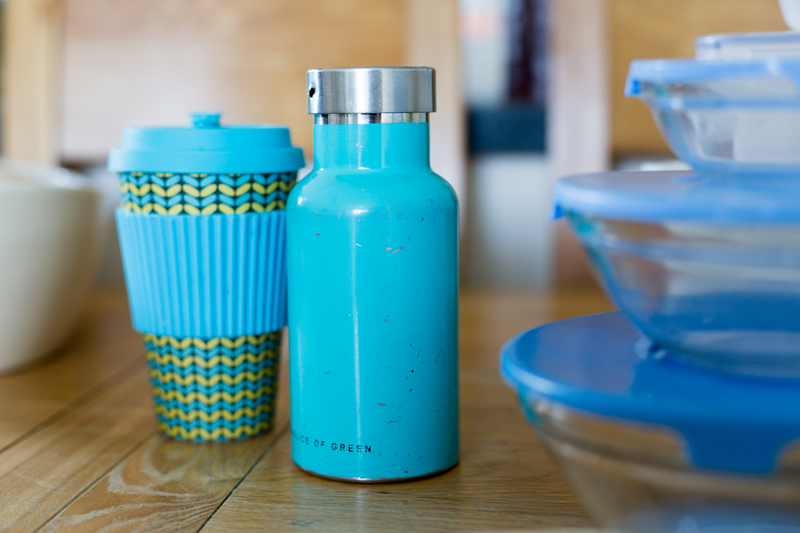 Would you consider making any of these easy zero waste swaps?